Chocolate lover? You’ll go crazy for our Anchorage espresso stand’s signature Mocha Milkshake. 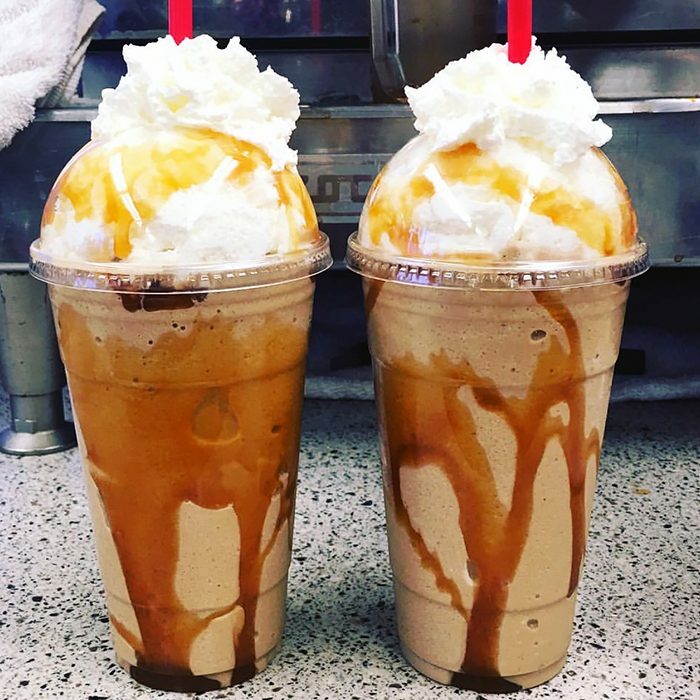 This specialty shake is made with real ice cream, fresh espresso and, a rich mocha sauce. A customer favorite and one of the most caffeine-loaded drinks at our Anchorage drive-through coffee shop. Brighten up your day with this high-energy delight! 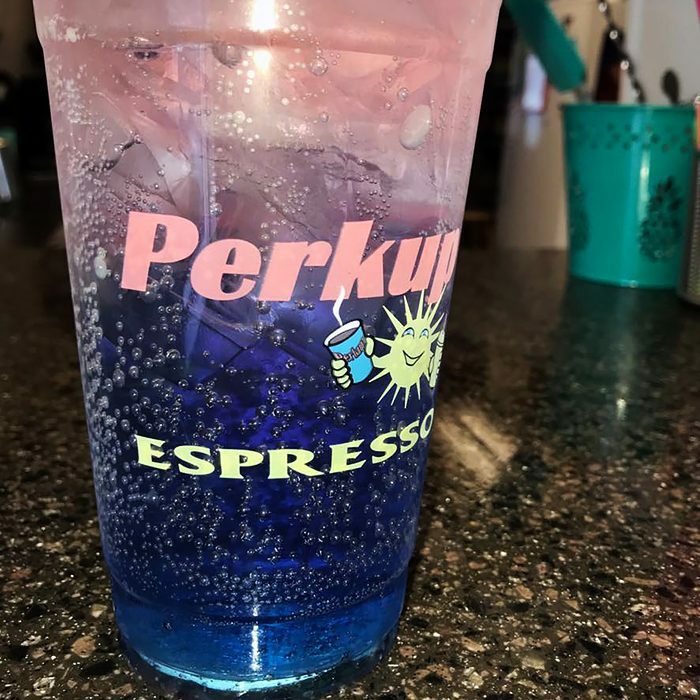 Perkup Espresso is one of the only coffee shops in Alaska to carry Blue Lotus and Red Lotus organic energy drinks! Add them to your Italian soda for a pick me up! We treat customers at all of our Wasilla, Palmer, and Anchorage coffee shops and each other with honesty and integrity– if we wouldn’t want it to be done to us, we won’t do it to you. Enjoyment – We believe in laughter. We take extra care to ensure that our customers and employees experience a positive, fun environment. We are accountable for our actions and are responsible for the success of our customers, our company, and our community. 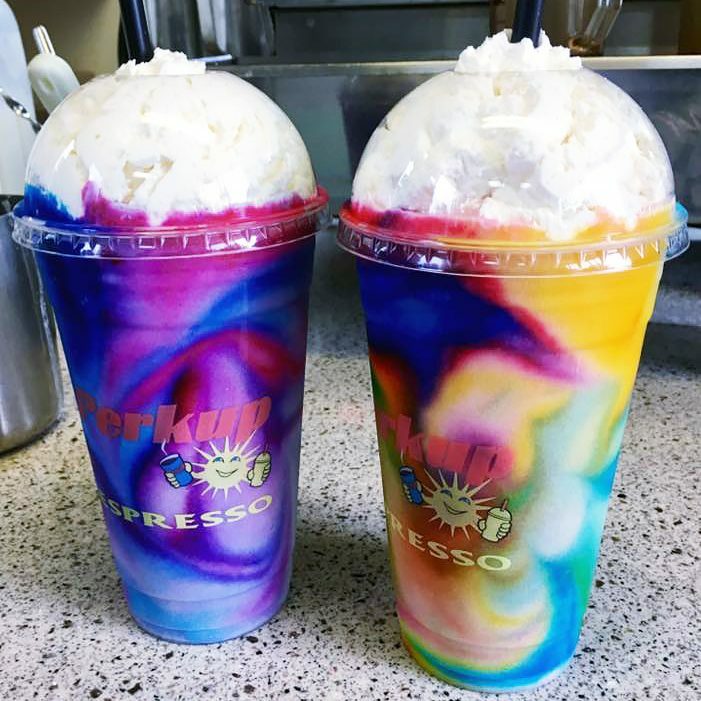 At Perkup Espresso in Anchorage, we pride ourselves in the consistency of our drinks and our service. Our customers can count on the same high-quality drinks and outstanding service at any of our 7 locations. 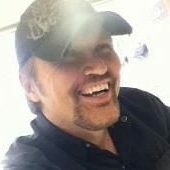 The Perkup Espresso team always works together and all team members are valued and empowered to provide outstanding service to all of our customers. We reward and celebrate the collaboration, loyalty, and great work! 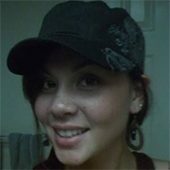 At Perkup Espresso, we offer the best reward and loyalty program of any drive-thru espresso stand in Anchorage. Your rewards points can be loaded onto a Perkup Espresso gift card– makes a great gift! We’re always looking for reliable and friendly baristas who want to work with us at our drive-through coffee stand in Anchorage.